The Second Empire made some advances into the periphery of Black Marsh, but they didn't stay long. Arx Corinium, once an Imperial fort, is now occupied by denizens of the deep swamp—and even stranger things. 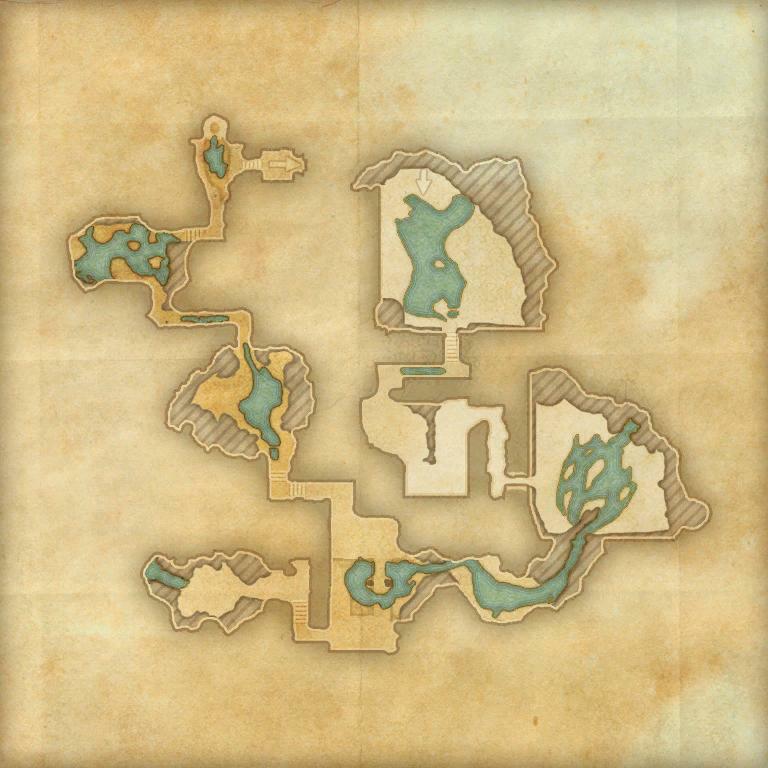 Arx Corinium is a group dungeon found in western Shadowfen. While previously constructed and held by the Imperials, the fort has fallen into disrepair and is overrun with Lamias. A group of nereids now occupy the flooded fort and focus on restoring balance to the land. Rumors say the fort is home to a great source of power, although it is perverse, corrupted. You can learn about its location from Mindil the Untested in Marbruk, Abzag the Monster in Shornhelm, or Maela the Crone in Stormhaven. Its dungeon sets are Lamia's Song, Medusa, and Undaunted Infiltrator. Arx Corinium Objective: Explore the ruins of the Imperial fort Arx Corinium. 5 items: When you use an Ultimate ability, you heal yourself and your allies within 20 meters of you for 0-30 Health per point of the Ultimate's cost. 5 items: When you use an ability that costs Magicka, your Light Attacks deal an additional 9-774 damage and Heavy Attacks deal an additional 13-1161 damage for 10 seconds. 5 items: Gain Minor Force at all times, increasing your Critical Damage by 10%. 2 items: When you deal damage, you have a 10% chance to create an earthquake under the enemy that erupts after 1.5 seconds, dealing 58-5030 Physical damage to all enemies within 4 meters and stunning them for 3 seconds. This effect can occur once every 5.5 seconds. Arx Corinium Vanquisher 10 Defeat the Ancient Wamasu, the Lamia Songstress, and the Lamia Queen. Arx Corinium Conqueror 15 Complete Veteran Arx Corinium by defeating the Fanged Menace, Ganakton the Tempest, Sliklenia the Songstress, Matron Ixniaa, the Ancient Lurcher, and Sellistrix the Lamia Queen. Snake Skinner 50 Defeat Sellistrix the Lamia Queen in Veteran Arx Corinium, after invoking the Scroll of Glorious Battle. Veteran Lamia Slayer 10 Defeat 400 Lamias in Veteran Arx Corinium. Veteran Snake Slayer 10 Defeat 175 Giant Snakes in Veteran Arx Corinium. Arx Corinium Survivor 50 Defeat the Fanged Menace, Ganakton the Tempest, Sliklenia the Songstress, Matron Ixniaa, the Ancient Lurcher, and Sellistrix the Lamia Queen in Veteran Arx Corinium, without suffering a group member death. Arx Corinium Assassin 50 Defeat the Fanged Menace, Ganakton the Tempest, Sliklenia the Songstress, Matron Ixniaa, the Ancient Lurcher, and Sellistrix the Lamia Queen in Veteran Arx Corinium within twenty minutes of starting the dungeon. Timer starts when players engage the first group of nesting serpents. Before dungeon scaling was introduced in Update 5, Arx Corinium was designed for levels 28-31. This page was last modified on 19 November 2018, at 05:14.